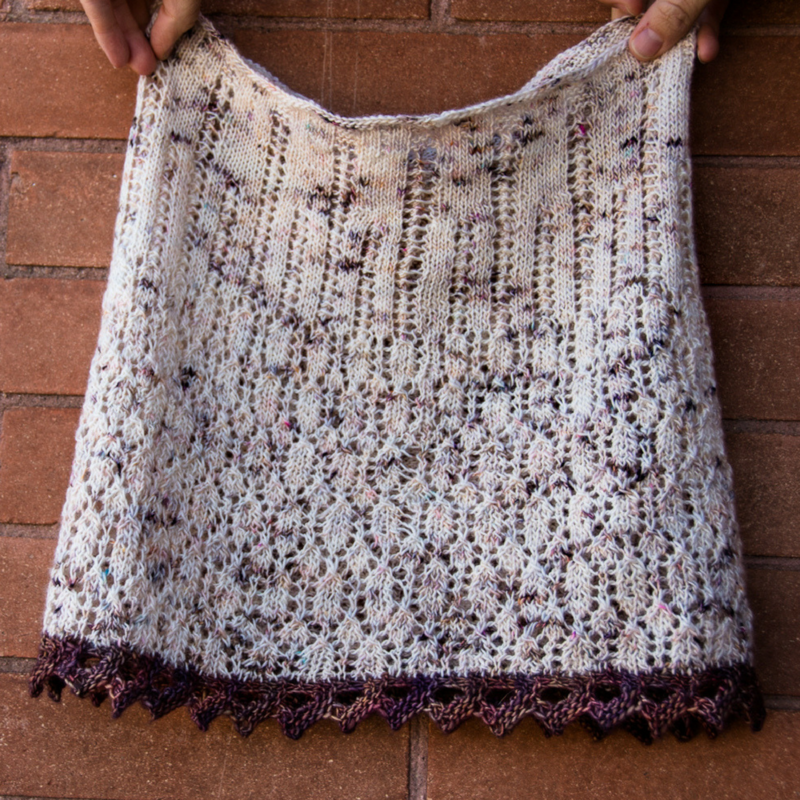 How much awesomeness can 1 mini skein add to a project? When you take a mini and turn it on its side, a lot! 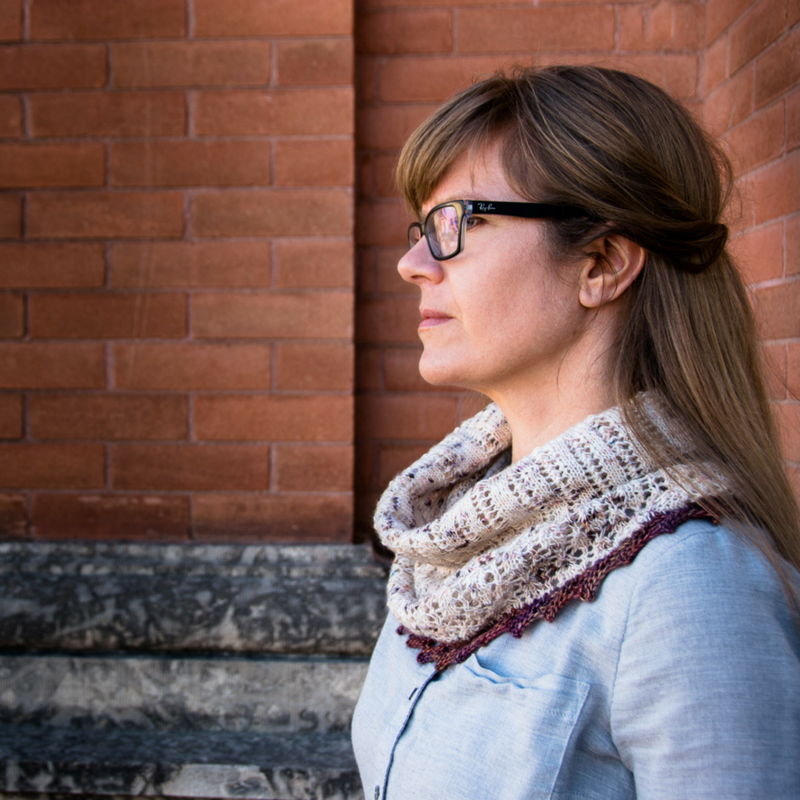 This cowl starts with the contrast colour and features a big yarnover for simple but dramatic edging. 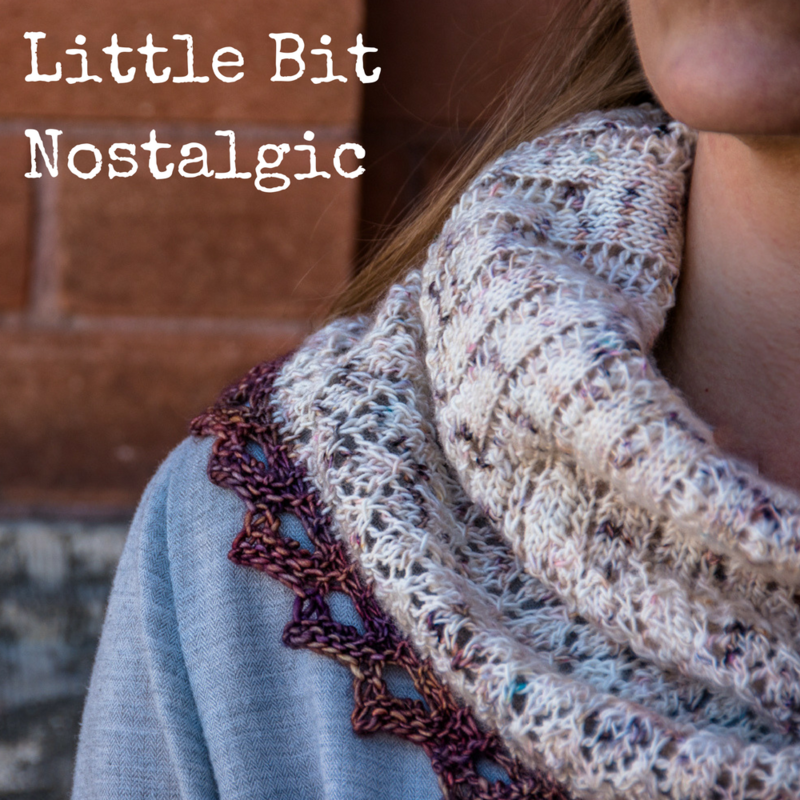 Stitches are then picked up and an old-fashioned stitch pattern plays out with sweet elegance across the body of the cowl before transforming to a simple lace and then an even simpler garter ribbing. If you love this, you might also love the +1 Pop Collection – a set of 7 patterns that also use 1 mini skein and 1 regular skein.